Here you can see the filler cap installed on the car. In an effort to begin sorting the various systems (fuel, cooling, charging, etc.) 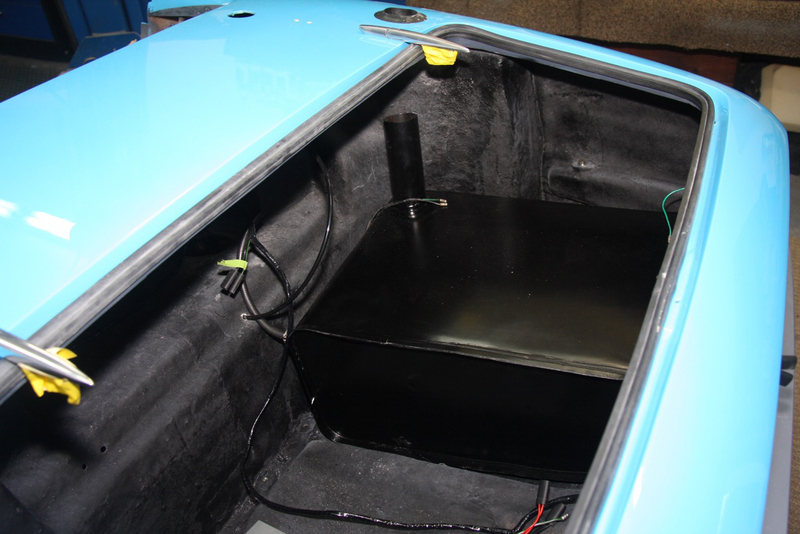 we installed the fuel tank into the trunk of our Elan. Previously we had checked the fuel tank for leaks, made sure there was no sludge in it, and cleaned and checked the fuel sending unit for functionality. The final step was to paint the tank with Eastwood Chassis Black paint. 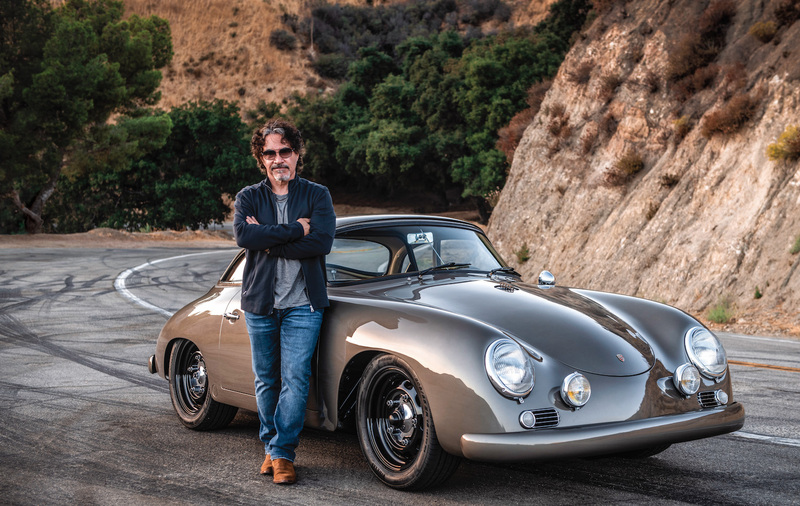 With these steps complete, bolting the tank in was fairly straight forward, but as with almost anything on an Elan, there is only one way to jockey the tank into position. From there we fitted a fuel filler cap. Our didn’t come with a filler cap—and a Series 1 Lotus cap is no longer available. So we determined—through the vast amount of cars we have restored—that the cap was identical to an early Mini Cooper S cap, so we sourced one—along with a used bit of filler neck—from a Mini supply house.